Home > Why Baby Babas? One of the most common causes of excessive drooling in babies is teething. It can start even weeks before a tooth actually emerges. While teething can lead to drooling, it’s often not the only cause. At only a few months old, babies usually try to put everything in their mouths. The motion of chewing, with or without teeth, makes them produce more saliva than they can swallow. Also, around this time, salivary glands are preparing for solid foods. This can also stimulate excess drooling. 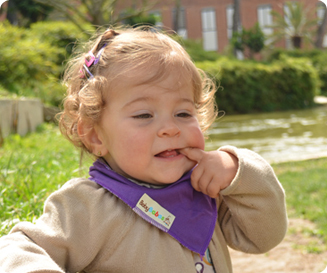 Our bibs can keep their chins and mouth dry and prevent chafing or rashes. They are specially designed to ruffle up below the chin, making them close enough to catch dribble as soon as possible. As we use soft cotton, mums can also use them to wipe away an excess drool from around the mouth. They don’t look like regular bibs! They are mini bandanas that make a cool baby to toddler fashion accessory. With so many colours and styles, we guarantee you’ll find something to match and compliment your baby’s outfits. If your baby uses a pacifier then you’ll need a pacifier strap with clip. Our bibs make a perfect surface to clip pacifier straps to. The strap can easily clip to either side of the bib, freeing your baby’s clothes from pinch or clip marks. Whether you are breast feeding or bottle feeding your baby, our bibs are suitable for catching any excess leaks or spills with its absorbent cotton layer. Being waterproof, you can be sure that your baby’s neck and chest will remain dry after every feed. This is especially helpful when you are on the move. Burping your baby can be a bit messy at times, especially that your baby may spit up and drool while burping. You can use our bibs for wiping away excess milk or spit up after feeding time. For warmer days during the spring time or hotter summer days, they are light enough to be worn with a t-shirt. The top layer is 100% cotton. 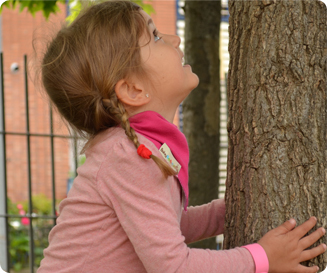 The bottom layer is 70% cotton and only 30% polyester, making our bibs breathable, light and at the same time waterproof. For those more fresher days, as our bibs snuggly fit around the neck area, it can act as a scarf, protecting your babies from cool breezes. As its light and slim, it can be tucked away neatly under a jacket.